Dear players! Today we have prepared for you new changes that affect PVP. We noticed that few players take part in battles on sieges or arenas. And tried to take motivating measures, now you will have more motivation to go to the arena or siege. This update is not as big as you used to see, unfortunately I was sick for a long time, now I feel much better. - Glory Point Potion: can trade. - Belfist Temple - now the material can be removed. - Owl's Tablet of Vitality Recovery: you can no longer use the siege. - Scroll of Recall: in the Serene location returns to the center Serene. - Tablet and Energy Magic Stone: after death, the action time is preserved. 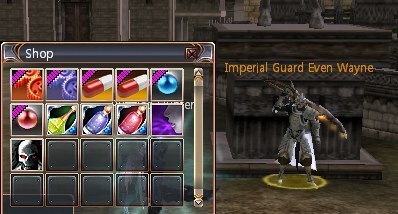 - Added a new PVP shop. This is a new PVP loyalty system, every day you must be online in PVP in the arena for more than 45 minutes, only then your game day will be counted. 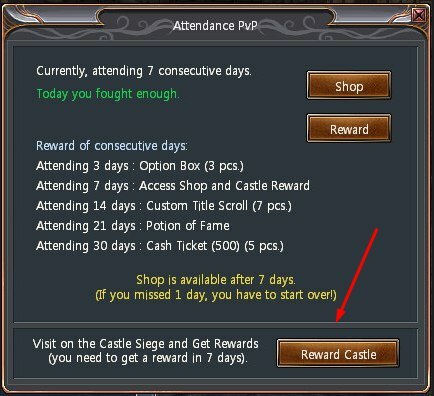 In 7 days you will receive a unique shop. * If you are active in PVP for more than 30 days you will be able to pick up the prizes. * In 1 day, you can buy no more than 10 units of items. 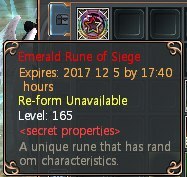 * Now you have the opportunity for participation in the siege, to get unique runes with random stats. * The duration of the rune is 5 days, we hope this will give you the motivation to come to every siege.